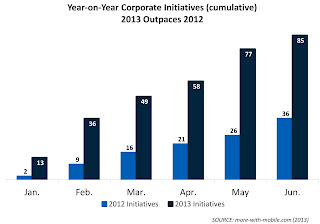 As shown in the accompanying exhibit, the first 6-months of 2012 witnessed a total of 36 corporate initiatives. A year later, the corresponding total had jumped to 85. The timing of many announcements coincided with key industry events – the U.S. Consumer Electronics Show (for consumer oriented applications) in January, Mobile World Congress in February and the CTIA's main industry gathering in May. As is typical for industry events, some caution is warranted in terms of marketing running ahead of product development. 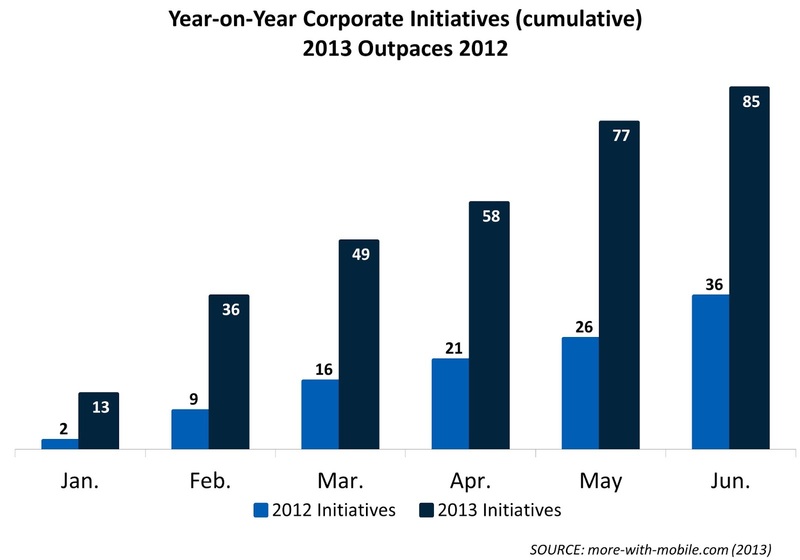 Mobile network operators continued to be central to many of the initiatives. A simplified value-chain assessment, as shown below, reveals many instances of partnering across different segments of the value-chain. 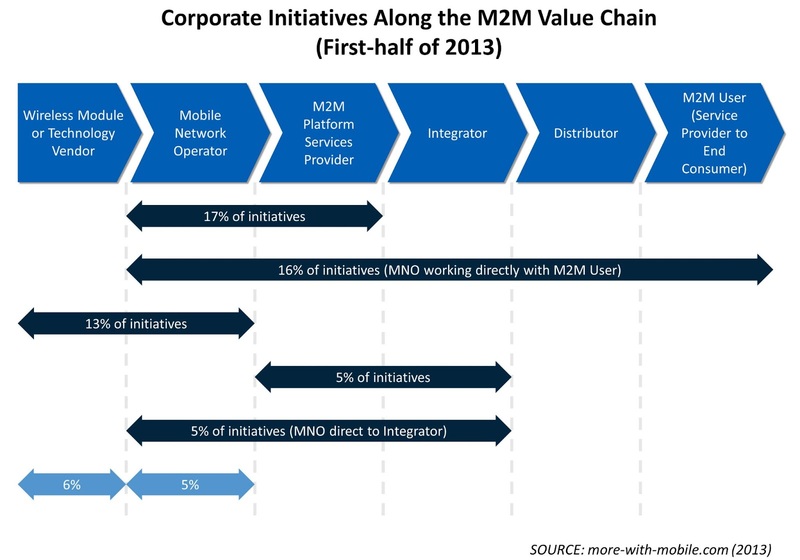 For example, 17% of initiatives involved mobile operators working more closely with M2M platform service providers and a further 13% with wireless module or technology vendors. The importance of M2M end-user companies shows up in the 16% of initiatives involving these businesses and mobile operators. An example of this is GM’s subsidiary, OnStar, which selected AT&T to enable GM vehicles with LTE capabilities. Reinforcing the emergence of M2M users as entities that are driving the market are two UK examples. The first involves the RAC (a provider of emergency, road-side assistance) which has launched its ‘RAC Advance’ service. This employs remote monitoring techniques to deliver an improved breakdown service to its members. The second example involves Tesco which recently launched a usage-based insurance offering targeting young drivers. At the vendor and mobile network operator end of the value-chain there continues to be a measurable degree of activity involving companies in the same segment of the value chain. Amongst mobile network operators, distinct operator alliances are emerging to offer M2M customers a coherent footprint for multi-national deployments. Cooperation amongst vendors involves combining technologies through partnerships or acquisition.